Hello :) I want to share with you today my layout created for AALL and CREATE online class, so those of you who are registered can watch the whole process there. Witajcie:) Chciałabym dziś pokazać Wam mój layout, który powstał dla AALL and CREATE, jeśli jesteście tam zarejestrowani, możecie obejrzeć również video krok po kroku z powstawania tej pracy. 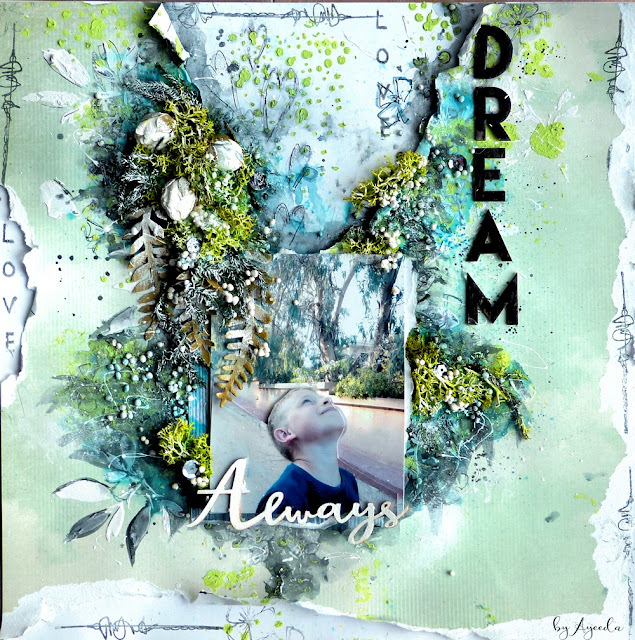 Hello:) Finally I had a chance to create with all the amazing stamps and stencils from AALL and Create. Among so many fabulous designs there are few of mine. 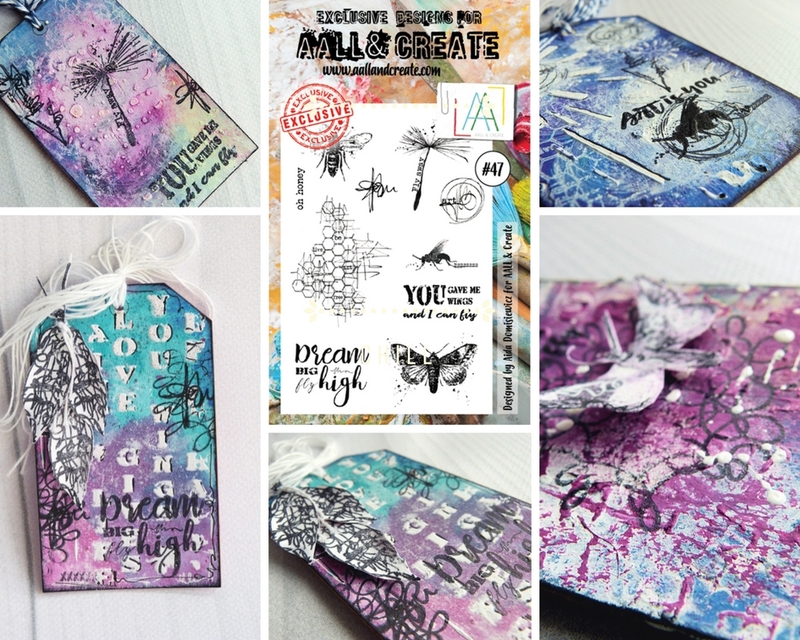 I have designed 2 stamps and 2 stencils and today I want to show you some of my tags I made using the gorgeous products from AALL and 13 arts mediums. I used mostly my designs: stamps #47, 48 and stencils #14, #15 and additionally #13.